Firstly, many thanks to those who came to the last event. Nine trolleys were extracted along with all the other usual plastic muckage and some tyres. We were around 11 people. Murray’s are happy to let us in through their gate for easier access and for the next event there are some real horrors to remove. There are many tyres, a massive red bin and all the other things that appear once one gets started on removal – with the help of the brilliant winch. Please contact Rosanne (rosanneadams@yahoo.co.uk) to be added to our River Stour Clean-Up email list to be kept up-to-date with any changes due to the weather conditions closer to the time. 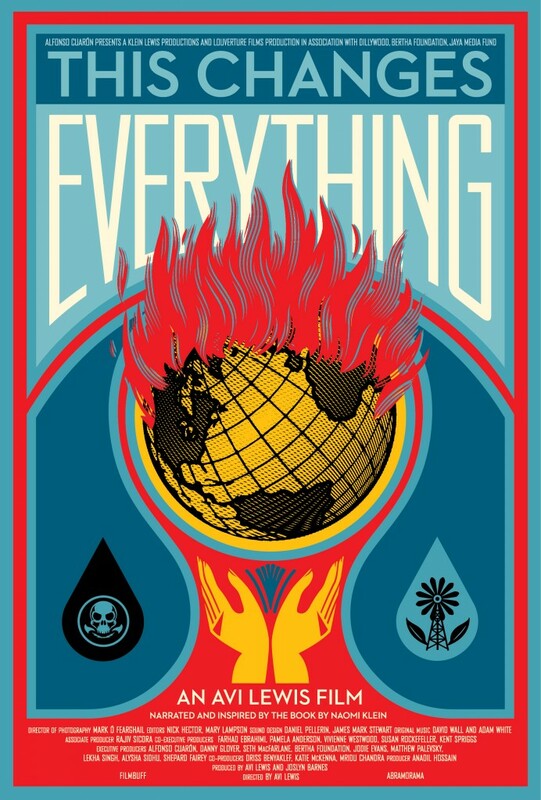 The next film is called ‘This Changes Everything‘ It takes a look at 7 communities around the world with the proposition that we can seize the crisis of climate change to transform our failed economic system into something radically better.’ 7pm refreshments. 7.30 film. Friends Meeting House, 37 Scotts Road, Stourbridge, DY8 1UR Entry by donation.